With anti-puncture strip under the tread. Ruta Tyres are fantastic road racing rubber with a slick, high traction, low resistance tread. * Starting in 2015, all models will be all black. 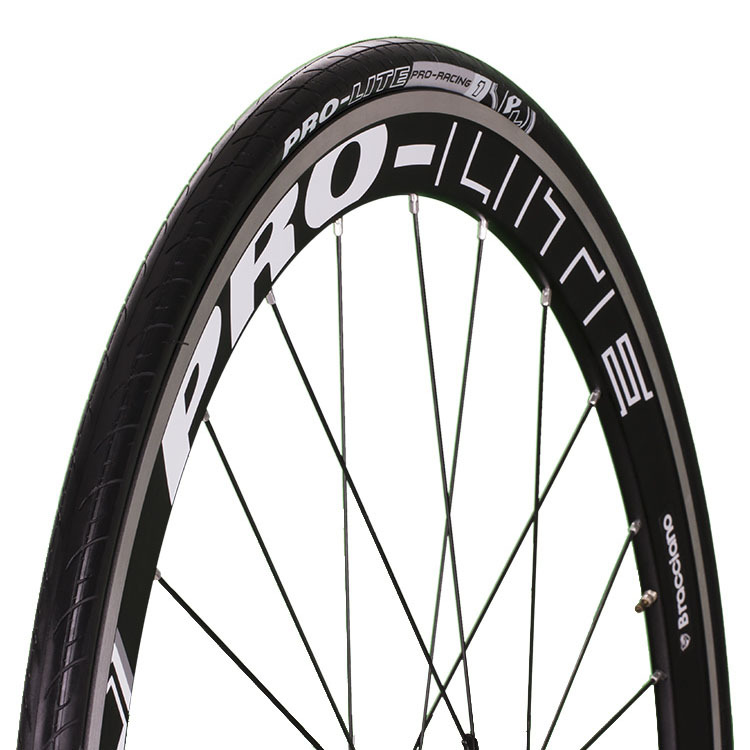 The Pro-Lite Ruta Pro-Racing 1S Folding Road Tyre is a top-grade slick tread racing superlight clincher that delivers the best performance and long tire life. It has super-thin sidewalls and super-durable 150tpi casing. 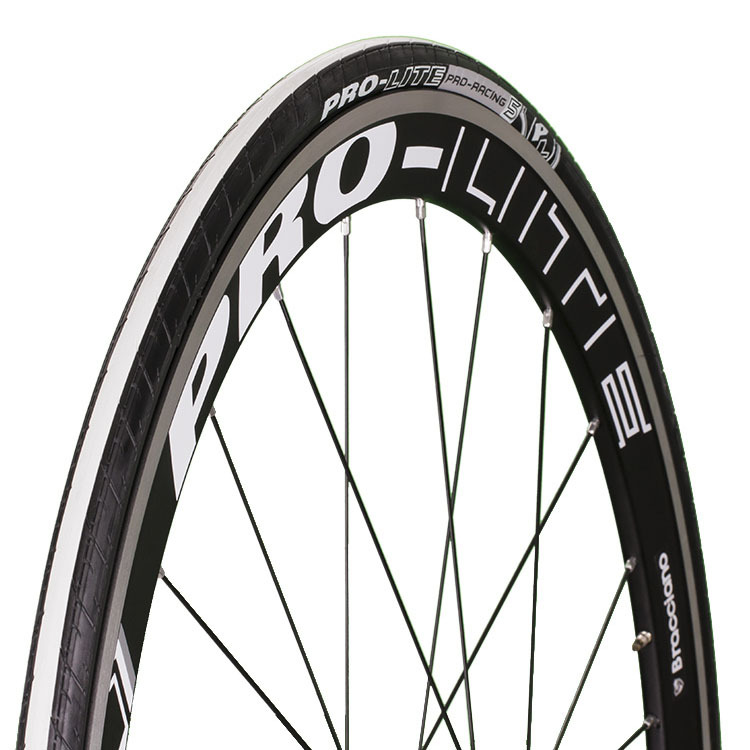 The Pro-Lite Ruta Pro-Racing 1 Folding Road Tyre is a top-grade slick tread racing clincher that delivers the best performance and long tire life. The Pro-Lite Ruta Pro-Racing 3 Folding Road Tyre is a top-grade slick tread racing clincher that delivers the best performance and long tire life. The Pro-Lite Ruta Pro-Racing 5 Road Tyre is a top-grade slick tread racing clincher that delivers the best performance and long tire life. Calle tires are perfect for road use requiring a bit more tread. * Starting in 2015, all models will be all black. The Pro-Lite Calle Pro-Racing 1S Folding Road Tyre is a top level racing clincher superlight with exceptional winter and wet condition performance with super-thin sidewalls and super-durable 150 tpi casing. The Pro-Lite Calle Pro-Racing 1 Folding Road Tyre is a top level racing clincher with exceptional winter and wet condition performance with super-thin sidewalls, super-durable 150 tpi casing and an anti-puncture strip under the tread. The Pro-Lite Calle Pro-Racing 3 Folding Road Tyre is a top level racing clincher with exceptional winter and wet condition performance with super-thin sidewalls and an anti-puncture strip under the tread. The Pro-Lite Calle Pro-Racing 5 Road Tyre is a top level racing clincher with exceptional winter and wet condition performance with a wire bead and super-thin sidewalls.